In the recent past there has been a lot of talk about innovation in Uganda, with several people asking tough questions, poking holes in strategies that many have come to believe as the truth, and discussions which have ended with more questions than answers. We have been talking to different people who are active in the innovation space to get their take on the matters being discussed and this week Joshua Twinamasiko G sat down with with Ms Susan Kayemba, Senior Manager Retention & Social Media at MTN Uganda. She’s a very private person, but managed to open up a bit about her background, threw some light on MTN Innovation Awards and also gave us her thoughts on the innovation space in Uganda. Who is Susan Kayemba? How would you describe yourself in a couple of sentences? I’m very passionate about technology, innovation, creativity. I love to see people make a difference in their lives. I love to see young people get opportunities to transform and think bigger, dream and actually achieve these dreams. I’m glad that I have these opportunities by working with MTN allowing me to create initiatives that can enable people. 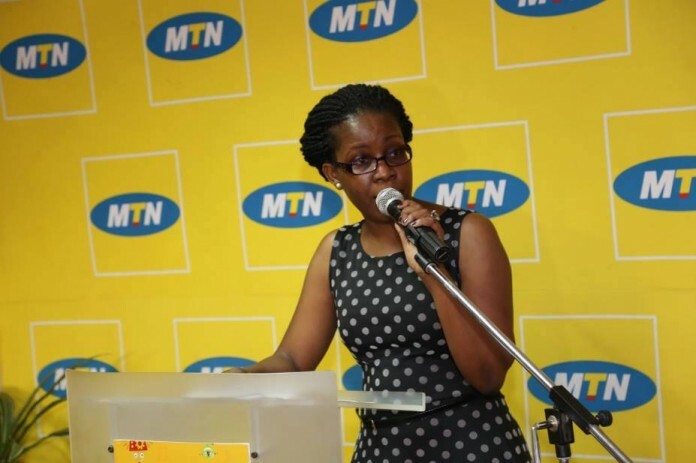 Did you discover this passion while working at MTN or is it what brought you to MTN in the first place? I’m actually an engineer by profession, I graduated in Electrical Engineering but I’ve since had a journey of change and today I’m actually a Strategic Marketer, but innovation is something that I feel at heart. Although I’m a major in innovation, it’s something that I’ve always felt. I prefer to think I’m a creative person, this is possibly why I’ve changed careers from being heavy techie to combination of both things. It’s a passion that I already had and being at MTN has enabled it to come out. We’ve heard in bits and pieces about MTN Innovation lab-the next big thing? We’ve seen the App Challenge, Junior Robotics Camp, what more can you tell us? The innovation lab is the umbrella of MTN innovation initiatives. Right now there’s no physical entity, its still a very virtual entity that is churning out these things that you’ve seen. Our intent is to, in the future, actually have a physical entity that can allow young people to come and create with our support. For now we’re just trying to demonstrate that we can actually support and enable innovation to flow under that umbrella. Now that you mention its still virtual, you must have some partners you’re working with. What can you tell us about that? As a technology brand we have tech partners, together we’re working to not only create innovations for MTN’s products and services but also to enable MTN to support the community. Most of our partners are also our tech service providers including Ericsson, Huawei, ZTE, SMS One and Dmark. We also have those who provide our own services but who are also on board to move with us on this journey including Hello Food, Jumia, Kaymu. All of these are big tech brands that not only support us to give you products and services but are also ready to support MTN’s initiatives such as the innovation lab. Working together we all bring what we are good at and be able to support the change that we are trying to drive. Where do you place partners like Outbox, FundiBots? You’ve also worked closely with them especially the last year. In the space of innovation in particular, we believe that there is need to build an ecosystem of processes, people, companies funders that can allow this innovation dream in Uganda to happen. So we’re lucky to work with some of the people who are already doing that. We work closely with them and all those who make up the ecosystem. Outbox is a hub, MTN comes in as an enabler because we have infrastructure like a network where apps can run, but then we need people like them because they have the communities and other skill sets that people who are trying to build startups would need, so we look at it as a collective influence, everyone trying to bring what they have on board for the common cause. As you will see us over time, we’ll start to work with many more partners including banks because startups need funding. So we’re not there yet but the ecosystem must have players like those if its going to grow and deliver that dream which we want to achieve. I see a tagline “the next big thing”, does that suggest that you might have your own innovations coming out there or is it only from the young people? I don’t want to say so much now because that’s something that is still being built and will come out fully in the future. But remember that one of the reasons that we’re doing this is that we realize that there is a big youth population in Uganda, unemployed, talented and educated. So these platforms are trying to help these youths get opportunities to explore, expose, do certain things that they are good at and to become self employed, making use of their talents, education, background and their lives. So under the umbrella innovation lab, sometimes we will be calling upon those people to create services which we can use which our customers can use. On occasion we might also have internal needs, in which case we will call upon people to develop these for us. It will be clear that this is ours this time, not yours. But in the long term the intent is to empower people with opportunities and skills so that they can build startups that will move them forward. With the innovation awards are you awarding only mobile applications? How about innovations that aren’t on mobile, desktop? So with the innovation awards, we are recognizing 8 categories. 5 of the categories recognize applications. We’ve chosen those categories because those categories are aligned to what we’re supporting as MTN and which we believe are critical to transform Uganda. However there’s the most innovative mobile app category which is open to any other sector. Our intent is to be a partner in building the ecosystem. SO we’re recognizing the apps that have been created, and on the other hand we want to recognize people who are enabling. We have individuals who are lobbying the government to implement different policies to enable development in the area of ICT. We have people that aren’t developing apps but are putting down infrastructure in terms of creating communities, assisting etc. So those three categories are supposed to take care of those. The ecosystem needs all of them to grow, and we need to start recognizing them through those categories. Are you going to engage with the winners after the award ceremony? Do you have some structured activities planned? Absolutely! One of the things we expect the winners to achieve through this is exposure. The cost of getting exposure is a very big cost which hinders most people from getting the visibility that they need for what they are creating. So we’ll have a detailed campaign after the awards that will unpack these people and their apps and services through various channels that MTN has access to. The intent and I believe the biggest value will come from that. We shall use the resources that we can to give them extensive exposure. What do you think about the state of the innovation eco-system in Uganda right now? Before I started doing this, I didn’t have an idea what was going on. As I started the activities we’ve had, I discovered we are still at a very elementary stage, but what we have is people with ideas, entrepreneurs who want opportunity, people who have been educated. What we need now is to create foundations in terms of support which they need. I think we have a very positive audience in terms of people wishing to create startups and that is a good thing. The design process seems to be flawed, for example someone designs an app for medicine without being in a hospital. How do we change the mindset? The way we define innovation, its not the tech. The tech enables the innovation. Innovation is the idea, that idea that turns round and creates positive change and transformation in things that you’ve been doing a certain way every day. That is innovation. The technology, which is the application in this case, only enables your idea. So one of the key things is that you must innovate where there is need. If there is no need, it will be one of those quickly passing things. One needs to understand the context in which they are innovating for. People need to start to think fro the approach of solving a problem. Either improving, or creating where there’s nothing but you’re always solving a problem. Also innovators want to make money in short run, be the next Facebook or something like that. The other thing is that innovation is about ground breaking. It is about creating something that is unique, that is absolutely fresh and different. Otherwise you’re just doing something that everyone else has done. So people need to have the mindset that it is not about technology but the idea, need and problem, and the people that are going to use it. And like any other business, you cant think short term that you’re going to make money. All successful business did not make money in short term, they had to wait seveal years, so innovators need to think in the same way, to have a mindset of growth and sustainability of long term. If you get in short term for money, there’s no success in that. On a lighter note, what would you want to have with you if you were stranded on a desert island off the Indian Ocean? Music. I love music. Kindle. I like to read. Internet, I’d need the internet to get books.